From Brussels, to Miao to California to Seattle, new bonds form when friends and neighbors come together at banquet tables. In fact, there’s a growing body of research that highlights both the social and health benefits of communal eating. 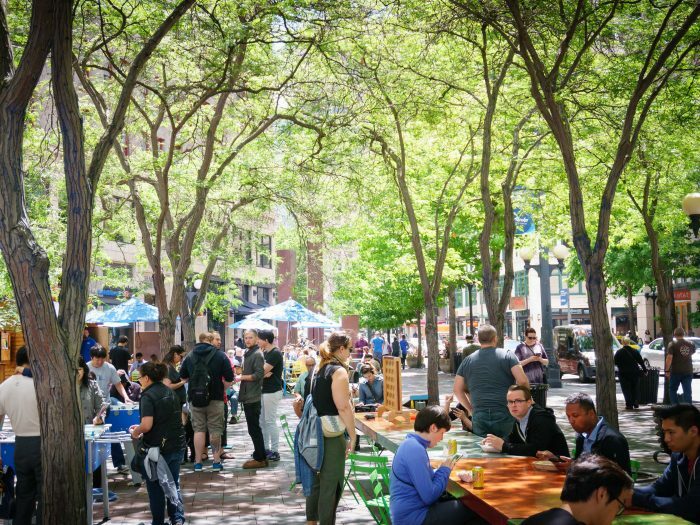 To this end, DSA and Jim Nicholls of the University of Washington built and installed four sturdy, long community tables in Westlake Park and Occidental Square – areas for downtown workers, visitors and residents to pull up a chair and enjoy a meal. 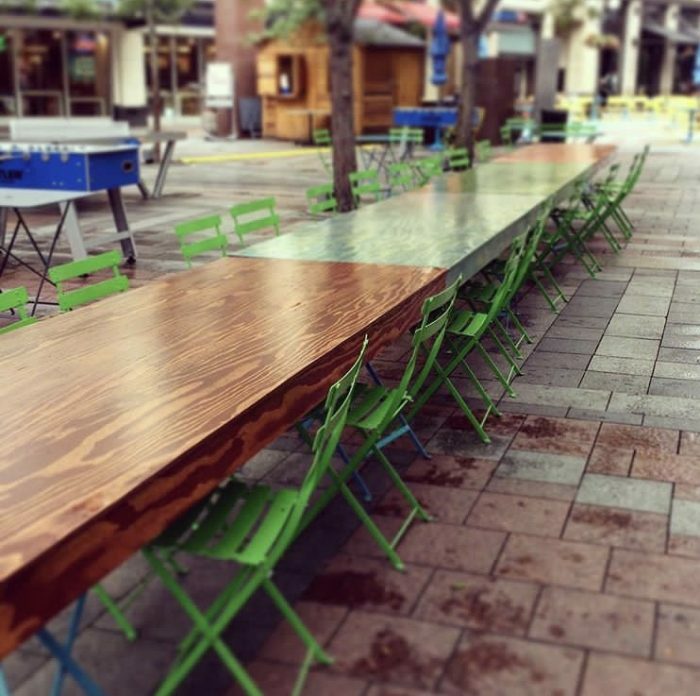 Timber from local fir was stained in a tapestry of colors to reflect the diversity of downtown, and the tables sparked new interactions and neighborhood connections. So grab your lunch and head to the parks. You never know who might be sitting next to you.